Jason Momoa has basically been a shining beacon of joy in the dark world of the set of Justice League, whether that’s by casually rocking out between takes or generally goofing around on set. 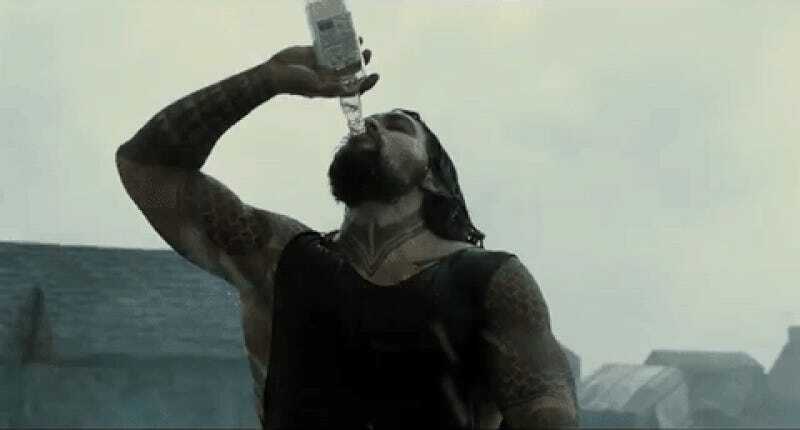 Turns out at the film’s wrap party, DC’s King of Atlantis displayed another superpower: the ability to drink like a fish. Without further ado, here are several examples of Momoa—sadly not in full Aquaman get-up this time—having the time of his life at Justice League’s wrap party. Also included? Ben Affleck doing his best Batman method-acting by looking like he’s too physically pained to do anything more than grimace.